Charts. What a pain. Maybe I don’t want to keep my privileges, CCH! So now we’re into the holiday weekend. Hopefully you’re enjoying it in the ways you like best, whether it’s spending time with friends and family, burning through your gift cards, lounging on the beach, or simply binge-watching movies in your pajamas. Quite a few of you, though, will be spending this Saturday the way you spend every Saturday: at work. Dr. John Watson, M.D. empathizes. Because if there are two professions who are never completely off the job, it’s doctors and detectives. And if you’re a doctor who moonlights as a detective, well, then, you’re always on call. Ok, I’m scheduled off today, and you want me to round in two hospitals and pick up some consults? We don’t get to see a great deal of Watson, the physician, in the Canon. He mentions seeing patients, treats a thumb amputation with carbolic acid and is always ready with the brandy and biscuits, but given Conan Doyle’s actual medical experience, it’s interesting that we don’t get to see him in action a little bit more. A true Boswell, he downplays his own skills to highlight those of his friend. 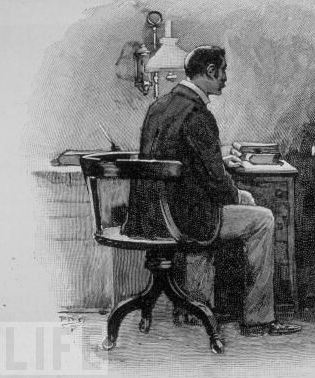 From whom did Dr. Watson purchase his first medical practice, and why was it for sale? When he moved into his new consulting rooms, Dr. Watson likely brought with him quite a few medical reference books. 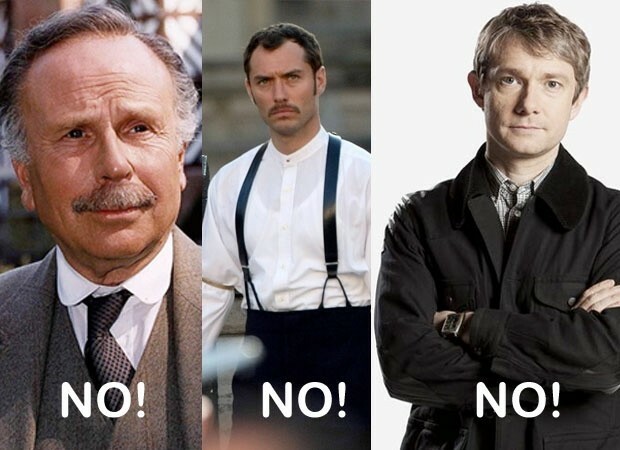 We Sherlock Holmes aficionados tend to have our own favorites in that line. 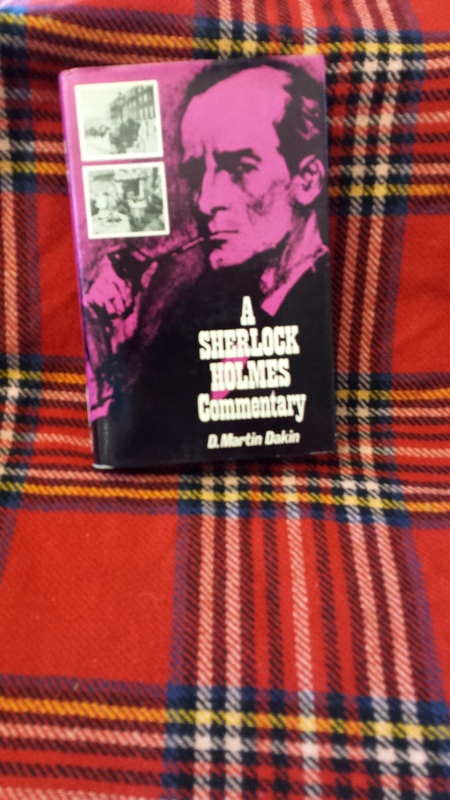 Today’s prize, therefore, is one I am very excited to offer: D. Martin Dakin’s A Sherlock Holmes Commentary. I cannot tell you how many times I have turned to this book for quick story summaries, a look at common debates and, most importantly, a concise and comprehensible discussion of the more famous chronologies. This copy has its original dust jacket and is in excellent condition (although the binding is extra tight and may not be flexible). Just send your answers in via FaceBook PM, Twitter DM, or blog comment, and you’ll be entered in the drawing! For further rules, remember, see the blog entry for 20 December. Congratulations to today’s drawing winner, Monte Elder! He actually sent in several options as answers: for Holmes, Winwood Reade’s The Martyrdom of Man, mentioned in SIGN and the “Agony” column in the Times (ENGR); for Watson, those sea stories by Clark Russell (FIVE), and the works of both Edgar Allan Poe and Thomas Carlisle (STUD). Other entries mentioned these books, along with Gaboriau’s Lecoq (STUD, likely both Watson and Holmes), Le Vie Boheme (STUD, Watson), and The Practical Handbook of Bee Culture,written by Holmes–so, of course, read by him as well.